Dubai: Dubai Investments Park [DIP], the largest integrated commercial, industrial and residential community in the Middle East, marked the groundbreaking of a new school within the development. The new British Columbia Canadian School (BCCS), the sixth school within DIP, will be operational by September 2017. The school is being constructed at a total investment of AED 88 million in partnership with Emirates REIT, the Sharia-compliant regulated real estate investment trust, on a 25,000 square metre plot in DIP. The school will offer K-12 Kindergarten, primary and secondary programs within the British Columbia Canadian curriculum. The school will have over 60 classrooms, with a total capacity to accommodate 1,500 students. 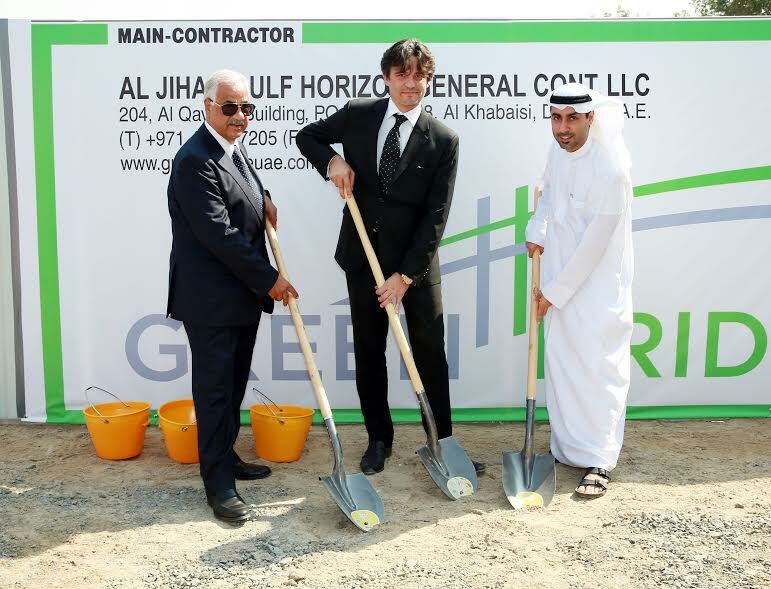 The groundbreaking ceremony was attended by Eng Mostafa Tawfik, Chairman of BCCS, Karim Mostafa, Vice-Chairman of BCCS, Sylvain Vieujot, CEO of Emirates REIT, H.E. Emmanuel Kamarianakis, Consul General of Canada in the UAE, officials from Dubai Investments Park, and representatives of contractors & project consultants. The school, to be constructed in two phases, will include computer labs, indoor pools, sports fields, play grounds and an auditorium covering a total built up area of 17,156 square metres. British Columbia is the number one English spoken curriculum worldwide and the 5th ranked curriculum globally. Over the years, DIP has spent over AED 4 billion in enhancing the infrastructure to international standards, which includes 140-km of internal road network and well-integrated water and electricity systems, the best of educational institutions, hospitals, hotels, retail outlets, supermarkets and other day-to-day necessities and recreational options. Dubai Investments Park (DIP) is a unique, self-contained mixed-use industrial, commercial and residential complex operated by Dubai Investments Park Development Company LLC. Spread across an area of 2,300 hectares (with 1,700 hectares leased), its master-plan was developed in 1997. It has been designed as a city-within-a-city offering world-class infrastructure and outstanding facilities and services. A subsidiary of Dubai Investments PJSC, DIP is divided into three distinct zones – each setting the benchmark for high quality projects in a well-planned, fully-integrated master community development. DIP is strategically located within minutes from the Al Maktoum International Airport.